A beautiful compilation of Qur'aaic verses depicting the reality of Jesus, the servant and messenger of his Creator. And in their footsteps, We sent 'Eessa (Jesus), son of Maryam (Mary), confirming the Taurât (Torah) that had come before him, and We gave him the Injeel (Gospel), in which was guidance and light and confirmation of the Taurât (Torah) that had come before it, a guidance and an admonition for Al-Muttaqûn (the pious)." The Noble Qur’an’ is the title of a verse-by-verse translation into English of the Qur’an, and is available from most Islamic bookshops. The Qur'an only exists in the Arabic language and is preserved in the form it was revealed in, consequently a translation into another language is only refered to as a translation-of-the-meanings of the Qur'an, the translation loses some of the meanings and most of the rhythm and style. Allah (Arabic): from a contraction of Al (the) + ILah (god: equivalent to Hebrew: Elâh, Alâh) meaning the one and only God, pronounced with a deep, stressed, slightly-rolled double ‘L’ sound. "And this Qur'ân is not such as could ever be produced by other than Allâh (Lord of the heavens and the earth), but (on the contrary) it is a confirmation of (the revelation) which was before it [i.e. the Taurât (Torah), and the Injeel (Gospel), etc. ], and a full explanation of the Book (i.e. laws and orders, etc, decreed for mankind) - wherein there is no doubt, from the Lord of the 'Alamîn (mankind, jinns,and all that exists)." "Do they not consider the Qur’ân carefully? 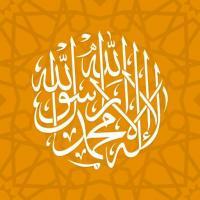 Had it been from other than Allâh, they would surely, have found therein many a contradiction."